Once the divorce or separation becomes official, both parents are faced with a complex matter of determining child support. This refers to the amount of money that has to be paid, the non-custodial parent obligated to pay it, the manner of paying, schedule and many other aspects. 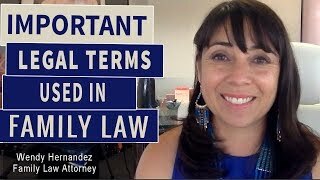 When the situation is typical, and all rules can be applied to the book, there are specific formulas for determining the total amount of child support and all other features. However, there are too many non-typical situations when the court has to apply a specific modification of family law discussing this topic to achieve the best circumstances for children involved. These non-typical situations include a lot more potential problem than the most common issue with non-residential parent refusing to pay support or not paying it regularly. Most family law courts and judges apply one of two major approaches when determining the total value of child support that should be paid. One approach imposes precisely determined percentage of the net income of the non-custodial parent that is owed to residential parent. This percentage varies among states, but it is usually 20% per child. It, of course, can be changed and adjusted according to the total parental income or specific costs the child might have. Another approach Is more flexible and relies on the final decision made by family law judge, after considering a wide range of specific aspects and factors influencing child’s situation, needs, and regular costs. This approach doesn’t start with the basic amount of support, but determines the amount for each case specifically, considering the best interest of the child. The most frequent example refers to children with special medical or educational needs and costs that will raise the overall amount of alimony. There are, also, many specific aspects of jobs, earnings, and incomes of a non-custodial parent that complicate child support procedure additionally. It includes the cases when another parent is self-employed, paid in cash or by the commission or quite a common problem with people whose incomes fluctuate. All of this feature that makes child support such a complex matter is just one of the reasons why you should hire professional and experienced family law attorney to assist you. I have a thousand cases complete behind me were single mothers won all their rights regarding child support with my legal assistance, even direct presence in the courtroom if required.